Our local parish Caritas group is one of more than 6000 such groups in Spain which make up Caritas Spain, in turn part of Caritas International, a Catholic confederation of over 160 members working at grassroots level in almost every country in the world. The aim of Caritas is to lend a helping hand by reaching out to the poor, vulnerable and excluded, regardless of race or religion. 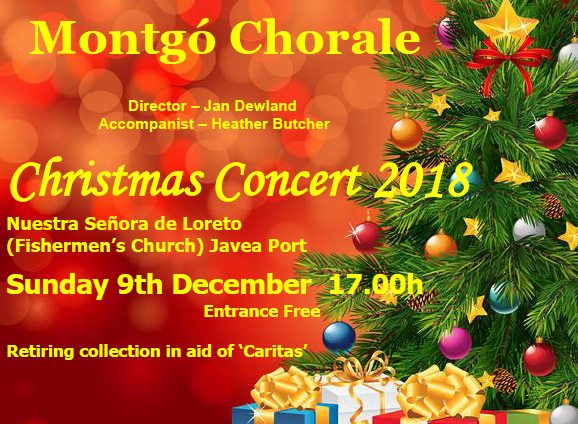 With regard to the work of our local Caritas group, we have found social conditions in Jávea to have been gradually improving over the last few months, now that the economic crisis seems to be less severe. Many of our beneficiaries succeeded in finding work at least for the summer. However, many of them are out of work again now that the holiday season is over, and we still have a number of long term unemployed whose situation has not improved and others, such as people on very low pensions, who continue to seek help. In addition, we have new people arriving, in particular from Venezuela, who are in very dire straits, which means we are still in need of assistance. In order to carry out its work, Caritas is financed entirely with private donations and our fundraising activities. We do not receive any type of financial aid from local, regional or state authorities, and therefore depend only on the generosity of those who are able and willing to help.